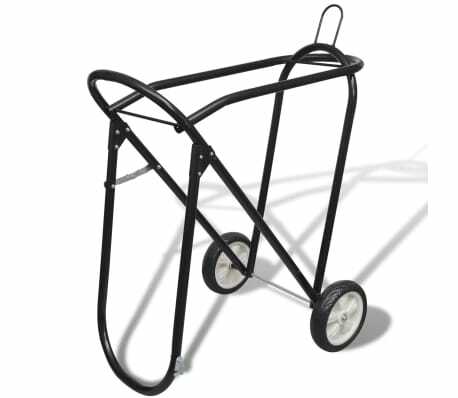 This high-quality metal saddle rack is a real nice piece to use in tack rooms or at horse shows. 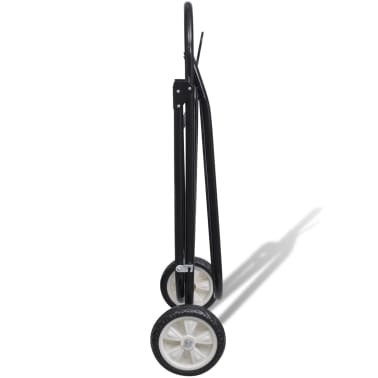 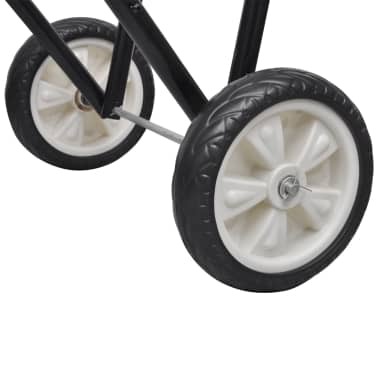 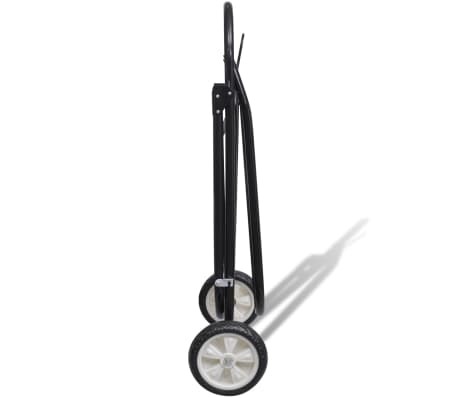 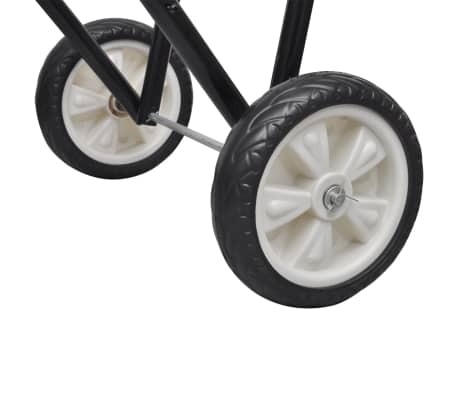 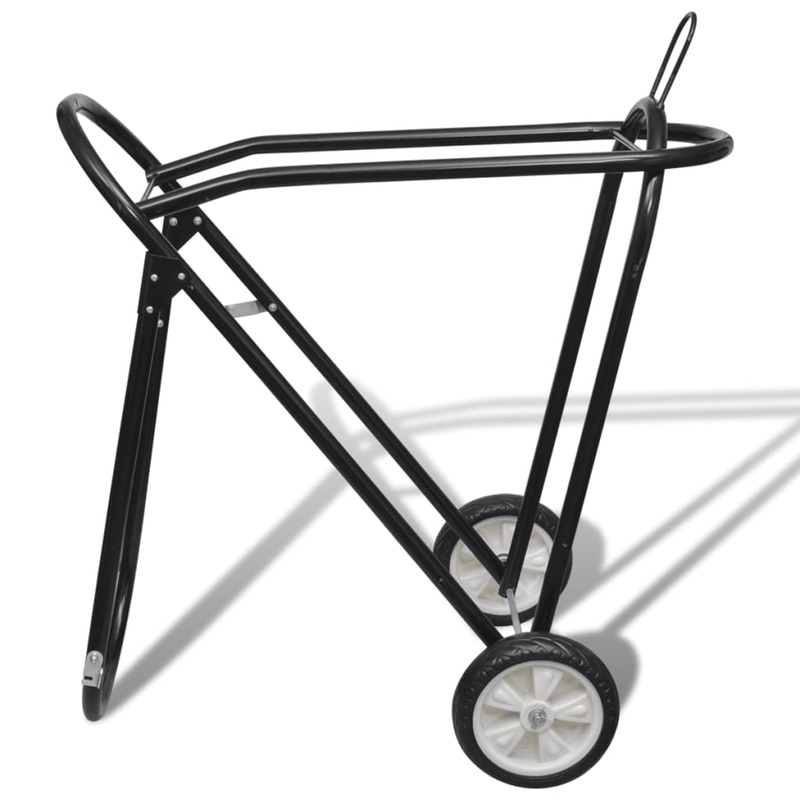 Equipped with two wheels, the saddle rack can be moved around easily. It has a powder coated finish to make it rust-resistant. 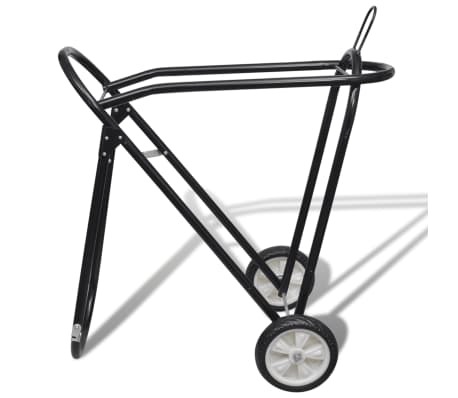 Made of high quality metal, this saddle holder is very durable. 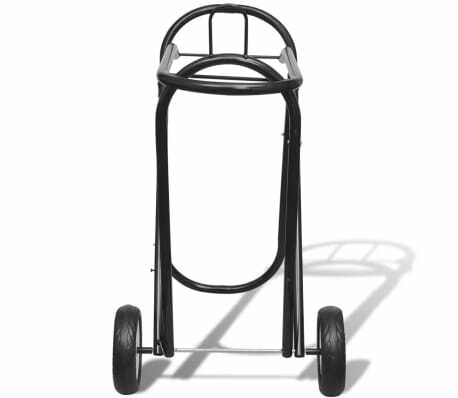 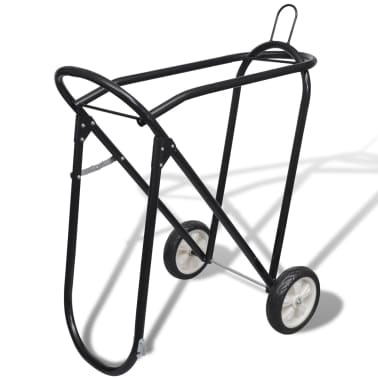 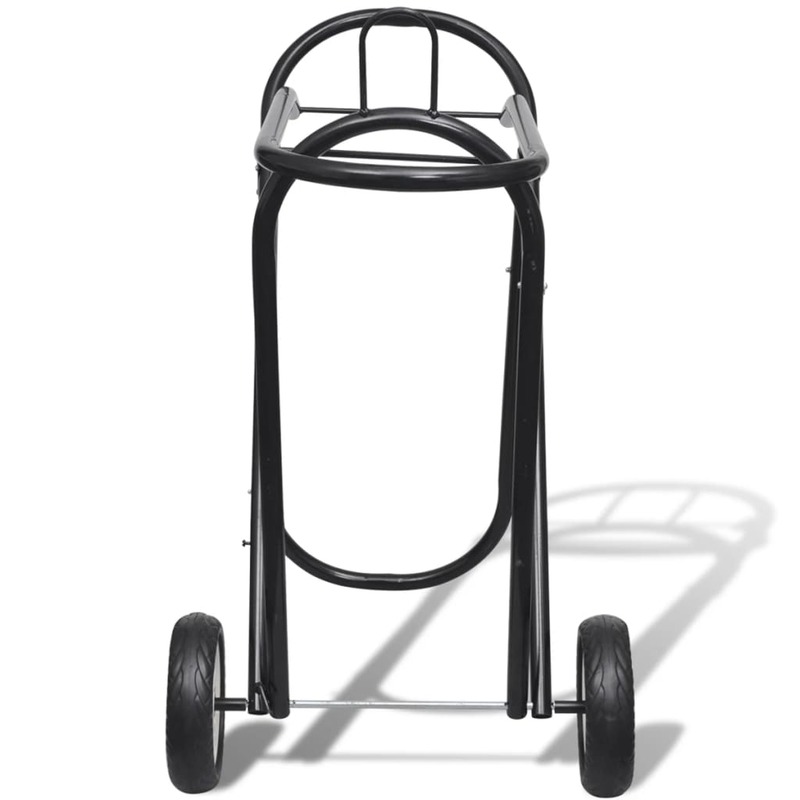 This saddle rack can be folded when not in use, which makes transportation or storage highly convenient.